Regulations and rules for animal transportation by air vary airline to airline. You will be responsible for preparing your pet for travel, providing the necessary supplies and documentation, and complying with airline rules. 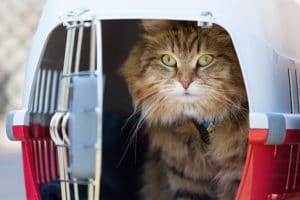 Should you choose pet air transportation? Some pets should not travel by air. Shipping a pet in the cargo bay of an airplane exposes your pet to stress, so only ship a healthy, well-behaved pet by air. What documentation do you need for animal transportation? You should consult your airline, as well as the state or country you are flying to, for documentation requirements for pet air transportation. Make sure these are accessible, accurate and up-to-date so no paperwork issues arise. Most airlines require health and vaccination certifications. These documents must be provided and signed by a licensed veterinarian. Most airlines have time requirements, so gather these documents no more than 10 days before your trip. Some states and countries require additional documentation, depending on what kind of animal you are shipping. Contact the State Veterinarian or Agriculture Department for specific documentation rules. If you are moving pets overseas, contact the destination country’s consulate. When shipping your pet by air, you will need a kennel. 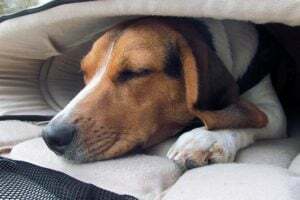 The kennel should allow your pet to stand up, turn around, and lie down comfortably. If you are taking your pet in the cabin, and not shipping him or her as cargo, the kennel will need to be able to fit under your chair. When you arrive at the airport, arrive on time. Make sure to arrive enough in advance to process your pet as cargo, but not too early. Most airlines do not let you check in earlier than three hours in advance. Make sure to take your pet to the cargo area of the airport. You will not be able to check your pet as regular luggage, so make sure to locate the correct loading dock. When giving the airline employee your pet, make sure they have the required documentation. Explain any special needs and feeding requirements. Although not required, you may want to tip the airline employee that takes your pet and encourage them to take special care of your pet. Once you have checked in your pet, let every airline employee you meet know that you are traveling with a pet. The more people that know you are flying with a pet, the more likely it is that you will have no problems during your trip. If you can, watch for your pet to be loaded and unloaded, especially if you are transferring planes mid-trip. Finally, claim your happy pet as soon as you get off the plane. Oftentimes, a cheap, efficient and less stress-inducing alternative to shipping your pet by air is transporting your pet by land. If you post your pet to be shipped in the “pet” category on uShip, you will receive cost-friendly bids from customer-rated pet transporters. You can choose the perfect pet transporter and view their history and feedback, so you truly know who is handling your pet. Furthermore, pet transporters can work with your budget, time-frame and special instructions for your animal.